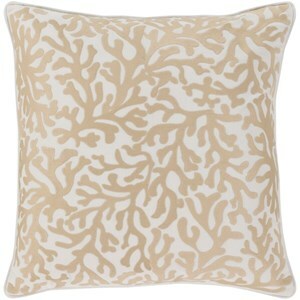 Looking to spice up your coastal home? The Osprey collection is the trendy new addition you've been looking for. 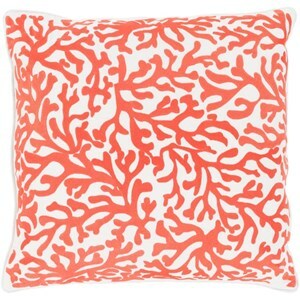 Imported from India, this pillow was woven with cotton fabrics and features a distinct coral branch/reef pattern that inspires a trip to the ocean in your own home. 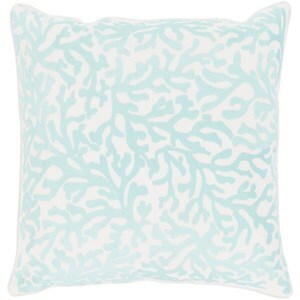 Please spot clean and line dry this pillow only to ensure a long life. The Osprey 20 x 20 x 4 Pillow Kit by Surya at Hudson's Furniture in the Tampa, St Petersburg, Orlando, Ormond Beach & Sarasota Florida area. Product availability may vary. Contact us for the most current availability on this product. Browse other items in the Osprey collection from Hudson's Furniture in the Tampa, St Petersburg, Orlando, Ormond Beach & Sarasota Florida area.